Home » Comics and Comic News » Archie Comics ‘Over the Edge’: Gimmick or Bold Direction? Archie Comics ‘Over the Edge’: Gimmick or Bold Direction? 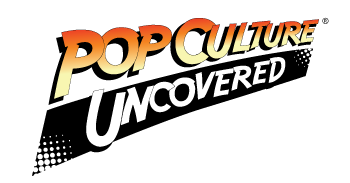 *Author’s Note:* The following op-ed contains spoilers for Archie Comics #22 – “Over the Edge”. Archie Comics’ Over the Edge came out this week, and I’ve got to say: I’m a bit hesitant about where the Archie team seems to be taking things. Let’s get something out of the way, first. While I personally haven’t really been a huge fan of the darker & more mature edge that the comic has taken on in recent years, I can understand the tonal shift. The writers & artists are appealing to a group of readers with more mature tastes, and those of us who’ve been reading for a long time (I’ve been reading since the late 70s and early 80s). 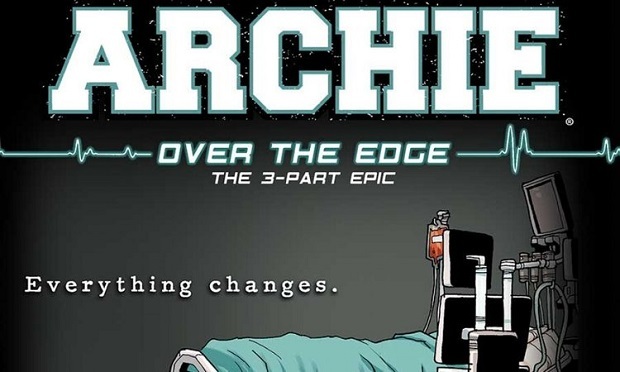 Getting back to Over the Edge… If you’ve been reading this arc and following Archie Comics news up to this point, you’ll know that the death of a major character was teased back in March. However, the folks over at Archie Comics backpedaled on that, simply saying that no one would die, but that Betty would be at Death’s door. In the last issues, we saw Betty Cooper get injured in a drag racing crash, and this issue starts off with her in the hospital. Her condition is not good, and we see that reflected in the pages of this book as the doctors & nurses frantically try to restart Betty’s heart. The book then follows with a retrospective of Betty’s life through the memories of the other characters. From her infancy seen through her parents’ memories, to meeting Veronica and falling in love with Archie through their memories, to a brief look at the incident which landed her in the hospital. First off, this would not be the first time that a wheelchair-bound/paralyzed character showed up in Archie Comics. Long-time readers of the books will remember the character of Harper Lodge, Veronica’s fashion designer cousin (who was inspired by real-life designer Jewel Katz). Additionally, this would be a fairly organic way of introducing disability to the Riverdale gang again, and possibly using Archie Comics’ (relatively) recent turn towards more mature topics in order to examine the way a person would deal with suddenly becoming disabled. It’s a complicated psychological process, and involves a lot of heavy stuff for a person’s psyche. Here’s the thing… My trepidation about taking a beloved character in this direction comes from a lifetime of seeing disabled characters fall into stereotypes and tropes that, frankly, can become off-putting and sometimes downright offensive. We talked about these in March of 2016, and I truly hope that the team over at Archie Comics takes this opportunity to avoid these things, or at least address them in a constructive manner. That being said, this arc is being written by acclaimed author and Eisner Award-winning Mark Waid (of Kingdom Come fame), so that gives me a bit of hope. Waid is more than capable of examining the psychological impacts that a sudden disability would have on a character, as well as what impact it would have on the way that they interact with others in their social circles. Waid’s writing style is one of the reasons that I am still hopeful for this story arc, as long as what he writes isn’t immediately retconned at the end of his run. That would just be patently offensive to anyone with a disability who comes to identify with Betty’s situation, and sees her as representative of their own life. As Archie Comics has matured, and the gang’s adventures have become more true to life, we’ve gotten to see more realistic topics & characters show up. So, all in all, I think that the direction that Over the Edge is taking could be a good one, as long as it’s handled properly. The main thing here, is that the writing staff (Waid included) really needs to commit to doing the characters justice. Please, folks. Do your homework. Talk to people with acquired disabilities. Learn their stories. Read scholarly and psychological articles on the effects of trauma like this. Your fan base will thank you for it, and we disabled readers will see more representation rather than ridicule. 2 Comments on Archie Comics ‘Over the Edge’: Gimmick or Bold Direction? This is an excellent piece. I have a genetic disorder from, but I became much more disabled and started using a wheelchair in my twenties. There really is a difference between someone who has a very active life that is seriously altered by an accident and someone who has a progressive illness so they know what to expect. I love Archie comics and based on some of their more progressive characters, such as Kevin who happens to be gay, I have high hopes for this storyline. Glad you liked it. Feel free to share!